This is an ‘Accordion’ Script. So-called “Accordion” is a drop-down panel that holds some additional content. 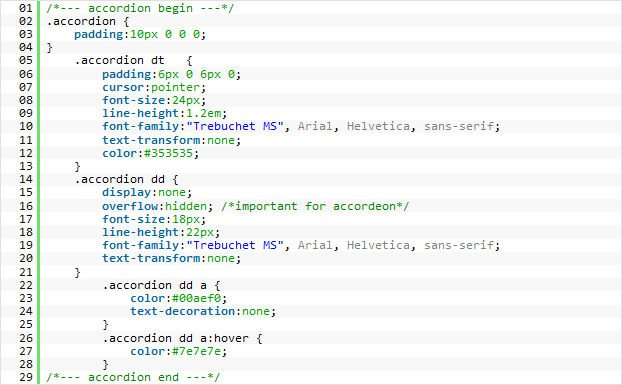 The script initializes a list (<dl> tag) with .accordion class. Also we need to setup an element (<dt> tag) with an active class (.active). This element will toggle drop-down panel also it defines which tag will define ‘accordion’ header title. It is possible to setup any panel active by default. You just need to set .active class for panel <dt> tag and set 11 style for correspondent <dd> tag.